I hope you're having a pleasant holiday weekend. It's been a busy couple of days for me. Last week I had my very first book signing. A few people have been asking how it went. The honest answer is it was fun and I learned a lot; however, it was also fairly slow. Sadly, I had to bag my reading as almost everyone who did show up had a small child in tow. The selections I had picked were fairly tame, but were still well within the PG-13 range. I don't mind traumatizing my own kids, but I prefer not to horrify others (or get beaten up by their parents :) . Alas, the art gallery crowd is probably not my audience. Not a lot of horror lovers there. Fret not, though, I am already moving ahead with some new plans. Here's a hint: comic book shops...we'll be talking soon. OK, so on to other stuff. 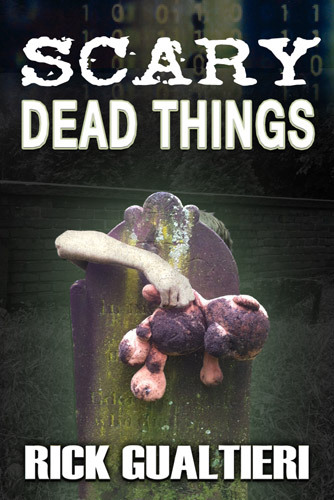 As I've mentioned before, I have a new book that's coming out in roughly a month. 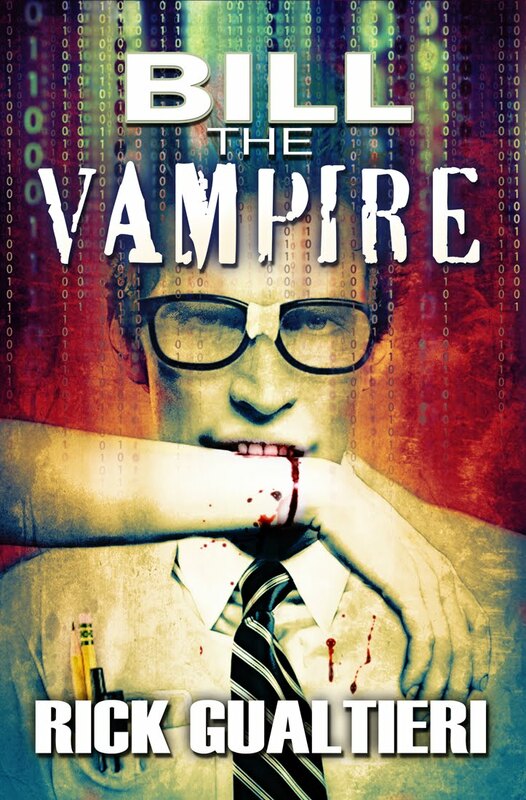 It's the third in my "Tome of Bill" horror/comedy vampire series. To help whet your appetite for the misadventures to come, I shall be posting various teasers from the book between now and launch. Oh and what's that up above...a low-res sneak peak at the cover. Pretty cool, no? I followed Dave in and shut the door behind me. Fortunately, his place was vampire safe during the day. The guy kept his apartment as dark as a cave. It was perfect for both gaming and not bursting aflame. Being that we still had a few hours before the rest of the party arrived, I followed him to the back room where he kept a makeshift lab. “Oh well, you tried,” I said, turning back towards his living room. I can’t say I would be too sorry to see this end. I couldn’t help but feel like a lab rat around Dave lately. That caught my attention, and not in a good way either. Yeah, Dave was definitely starting to get a Dr. Frankenstein vibe to him. “Did you learn nothing in college? When science wants to test something, we turn to our four legged friends.” With that, he pointed out a little tank sitting off in a corner of the room. Inside were a bunch of white mice. “Thank you. Now bite!” he commanded, handing me the glass. I sighed. Oh well, in for a penny. I extended my fangs then also blackened my eyes...hey might as well make a show of it, and did as asked. About a minute later, Dave said that was probably good enough and took back the glass. I don’t know if it was venom or just my drool, but there was definitely something collected inside of it. “Just one more thing,” he said, placing it to the side. He began to rummage in a nearby desk. “Let me guess, more blood samples,” I sighed, starting to roll up my sleeve. “Pity. I was planning on dropping a vorpal weapon into the game. Doesn’t Kelvin use a saber?” he asked, referring to my character. “Not gonna work,” I replied. That lasted all of two seconds before I blurted out, “What kind of plusses are we talking about?” Damn my weakness for treasure! Ten minutes later there was a knock on Dave’s door. It was the cops. Guess his neighbors got a little freaked out by all the screaming. What a surprise. It’s amazing just how many nerve endings are contained in one little toe. 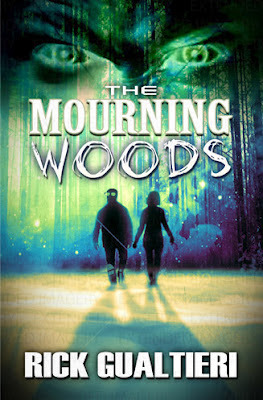 The Mourning Woods: The Tome of Bill, Part 3 is coming soon.